Posted on October 5, 2015 by Matt Frazier / This entry was posted in Informative and tagged accessories, ashtray, brooklyn, bushwick, east williamsburg, flask, jewelry, pipe, smoke shop, vintage. Bookmark the permalink. 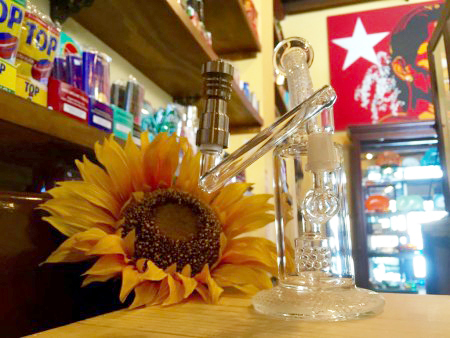 Over three years ago, Sunflower Pipes opened the doors at 12 Wilson Avenue to bring quality glass pipes, bubblers, water pipes, and accessories to the Bushwick community. Since then, our team has worked diligently and tirelessly to curate a variety of wonderful options that extend beyond the traditional smoke shop experience! Whether you’re new to the world of smoking, or a seasoned champ, the perfect product is closer than you might imagine. Our storefront, and online shop, both offer the best value on all you need to get the party started. Click through below to see all the fantastic new additions that have allowed us to step our game up, while providing you with an arsenal of wonderful options. 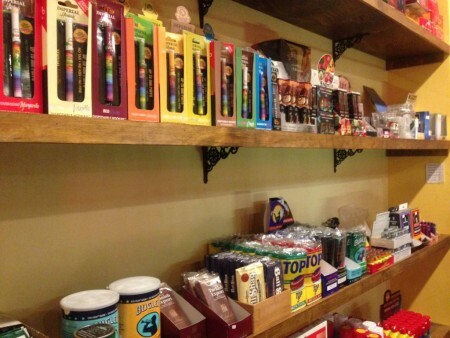 Our loose tobacco, dip, and disposable e-cigarettes gets your nicotine fix set, or offers fantastic options for quitting with our ZERO nicotine options, including Imperial Hookah and Sigma. Choose from classics like Top Tobacco, Bali Shag, American Spirit, and Bugler to pair with the perfect rolling paper for your cigarette. You won’t believe our selection of RAW Paper products until you feast your eyes on it! Sunflower Pipes even carries 12-inch jumbo papers that are certain to delight everyone at your next party. Kaleidoscope and disco ball lenses on our GloFX stunner shades will have you craning your neck in every direction, seeing a brand new world that shines bright and glimmers with a stunning filter. You’ll think you’ve stepped into an Instagram world just by putting these over your eyes. 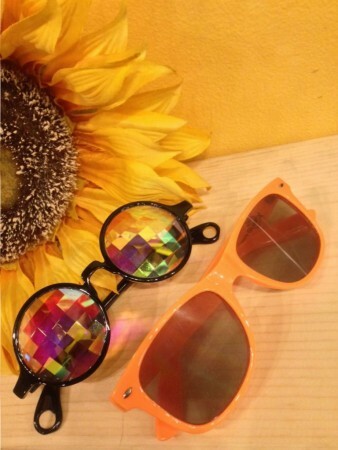 These sunglasses are super popular at our store. They can make your next experience into the cosmic realm all that much more surreal, transporting you into a world of distorted light and radiant colors. The frames on the discoball glasses are made out of metal so they feel good around your ears and comfortable on your face. You never know when you’re going to be needing some sunglasses. So make sure to check these out the next time you’re in our shop our looking at our online site. They’re sure to be a hit among friends. 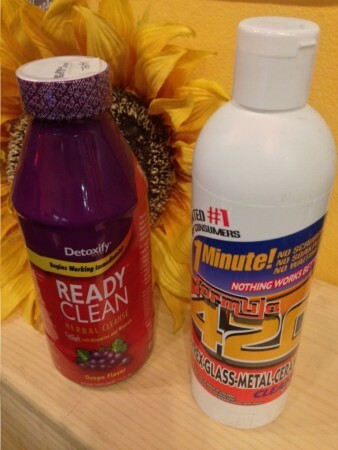 Get your pipe and system squeaky clean with our 420 Cleaner and Ready Clean Detoxify Juice. Our customers have reported fantastic results on both of these products, which are certain to get the job done when guidelines are adhered to. We also sell a variety of pipe cleaners, such as Zen Brand Soft and Bristle, as well as a multitude of brushes for digging deep and cleaning all of those hard to reach places. You know what they say, a clean pipe is a happy pipe and a happy pipe makes you happy. Pipe maintenance is an important part of having a good smoking experience. And don’t worry about losing any of that brilliant color you may have enlivened your pipe with. If you have a pipe fumed with either metal or gold filament that color is blown into the glass and activated with heat, so it’s not going to go away when you clean it. 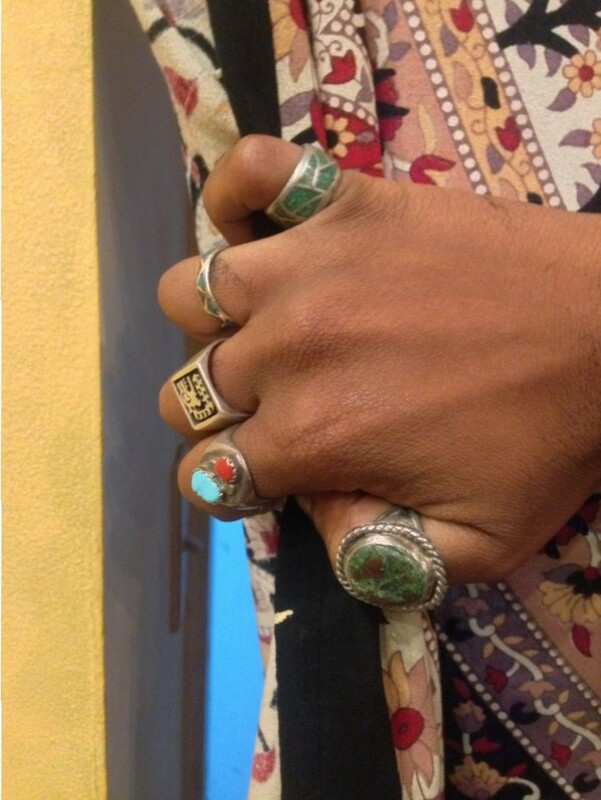 Put your best fashion foot forward when you choose one or more of our vintage rings, available in almost all standard sizes. The gorgeous pieces that we offer, made with gorgeous stones, such as turquoise, mother of pearl, cerulean, and many more are unique and one of a kind accessories hand picked by our store owners for quality and aesthetic appeal. We have handmade jewelry that you’re not going to find anywhere else as well as many vintage pieces such as money clips and rustic looking dishes. Your coffee table will be a fantastic conversation started when you feature on of our vintage ashtrays. We also have a large array of flasks ranging from the traditional, sleek stainless steel look, as well as a number of individual fabric and leather options that not only look great, but keep your buzz going . Check out our selection in store in Bushwick Brooklyn or online at our digital market where we’re sure to have something great for the next time you need to give someone a gift or when you are looking for something unique and handpicked to add something wonderful to your life. We look forward to doing business with you.